The first inhabitants on the island were Ardiaei, Illyrian tribe, who, through the port Prapratno on the peninsula Pelješac, came to Mljet approximately 4000 years ago. 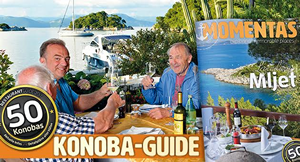 The first contact they had with the island was in ports Sobra and Okuklje because they were the nearest to Pelješac, but they also had contact with ports Polače and Kozarica. Arriving on a fully wooded island, they slowly settled close to the drinking water sources and along the edges of the island's valleys. They lived in small dwellings built of stone walls, while they were covered by underbrush and pine branches. They were farmers, dealt mainly with goats and sheep farming, hunting and fishing. 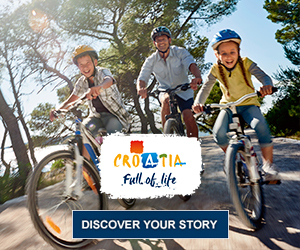 First historical records of the island are related to the Greek sailors, who were sailing to their colonies on the island Korcula, Vis and Hvar, safely passed through the Mljet canal and took refuge in Mljet bays during strong southerly winds. Except during adverse times, the Greeks were moved to the bays of Sobra and Polače for drinking water sources, which were near the coast. There are no primary sources of Greek residence in the island Mljet, so we can conclude that the Greeks were not settled the island, but they used it for vacations and as a shelter from bad weather. The proof are underwater sites of the Greek amphora in today's ports Okuklje, Sobra and Polače which originate from incidents of ships in bad weather or during pirate attacks. 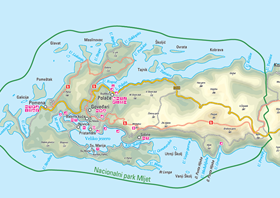 Mljet came under the authority of the Romans in 167. BC when the Ardidean sovereign Gencius went to war against Rome and in the war was defeated. At that time Romans conquered the teritory all the way to today's Albania. 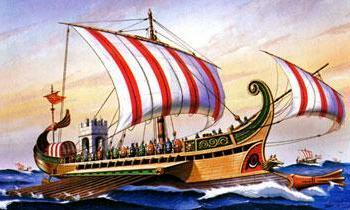 Roman rule in Mljet was nominal as the Illyrians still pirated in the channel. 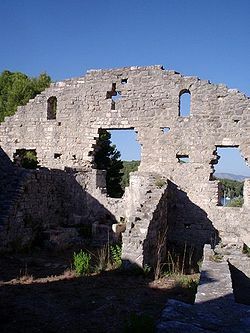 The first concrete details of Mljet are found in the work of Roman writer Appian, who described the wars of the Emperor Augustus with the local population on the island. Appian, in his work Romanorum Historiam, part De rebus Illyricis, wrote how Augustus destroyed the Illyrian town Mellitus 35. BC due to frequent pirate attacks on the Roman fleet. Submitting to the local population, the Romans in the Gulf Polače during the third century began to build an imposing mansion in which dwelt the Roman governor of this land. The palace also had a defensive function, as evidenced by two strong towers at its end. Besides the palace, over time, two early Christian basilicas and baths were built, which indicates that clergy lived in the palace, beside the governor, and functioned as a late antique or early medieval city. Neretvans came on Mljet from Pelješac, just like the Illyrians, and built the settlement (first Slavic settlement on the island Mljet) above the present village Maranovići and named it Vrhmljeće. 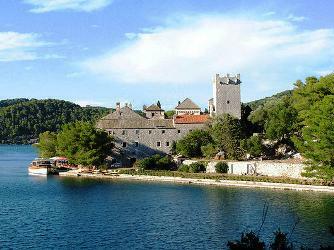 In the 12th century Benedictines from the monastery located in the islet of St. Mary became the masters of the whole island Mljet, and in very short time established feudal government in the island. The Benedictines have produced all the food themselves through their work, and the local population have been shown how to grow a culture which largely improved agriculture on the island. Except for the economy, Benedictines have played a major role in development of literacy. It is believed that the library belonged to the monastery on St. Mary's islet, is among ten largest Benedictine abbeys in all Dalmatia. Over time, the Benedictines have become clergy and civil authorities on the island. With special charters, "by the statute", published in the 24th of September 1345., monastery freed all the islanders of all contributions and service to the abbey. 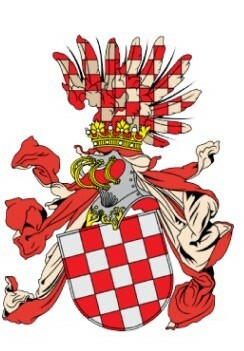 After the adoption of the Statute 1345. and releasing of bond of submission to the islanders, Dubrovnik slowly started to prepare establishing their rule on the Mljet. On the 15th of November 1410. the Grand Chamber had issued regulations on Mljet, after which the island definitely became a part of the Dubrovnik Republic. Mljet remained under Dubrovnik until the end of the Republic in 1808.